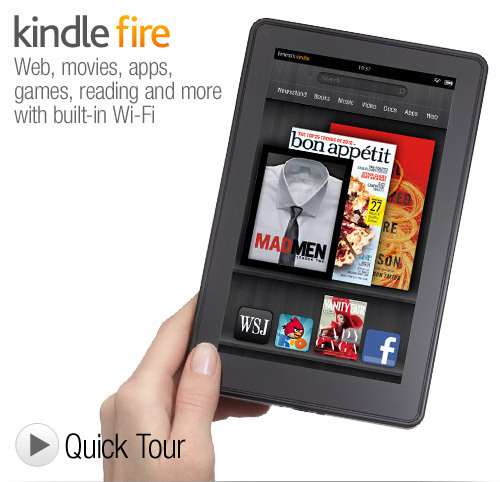 So, Amazon knows that some of you will be rooting the Kindle Fire by now. It’s hard to imagine otherwise at this point, given the state of the competition and the community of Android enthusiasts who love to unlock the full functionality of the OS. What’s fairly unusual about Amazon’s approach to this, though, is that they don’t really seem to care and won’t be making any major moves to prevent it. For those unfamiliar with the term, “rooting” a device means gaining unrestricted access to the device’s software in order to, among other things, install a fresh or custom version of the operating system that is more in line with what you are personally interested in. The Nook Color, for example, was widely regarded to be an impressive budget tablet after rooting despite its less than impressive default feature set at release. Rooting is common practice on Android devices, especially when by default these devices prevent users from accessing the Android Marketplace or when manufacturers stop supporting software updates for older devices. This is essentially the same process as Jailbreaking your iOS devices and the results are comparable. Amazon representative Jon Jenkins, director of the Silk browser project for the Kindle Fire, admitted “It’s going to get rooted, and what you do after you root it is up to you.” In the same interview he admitted to not even being sure if the bootloader was locked, which is just one of the many ways that Android is closed off to potential hackers. This doesn’t mean that Amazon will offer any special support for such endeavors, and indeed it will still most likely result in a breach of warranty for anybody who chooses to go this route, but they don’t seem to see much profit in staying on top of any potential exploits and holes in the security. It’s a novel approach for a major developer. For the most part companies tend to overreact to what they view as a threat, often to the point of forcing normal users into less enjoyable experiences as a result. It also implies a certain level of confidence in the experience being delivered. Amazon is essentially gambling on the idea that the Kindle Fire’s unique interface and distinctness from the generic Android experience will be enough to keep users locked in. They have spent a great deal of time and effort, by most accounts, in creating something distinct that customers will feel worth investing in. Of course it will probably help that without the Kindle Fire‘s OS it will likely be difficult to make use of Amazon’s cloud services. If the Silk Browser is genuinely faster than the competition as it claims to be then that alone would be enough to make you hesitate to switch. Basically, if all you want is the hardware then you’re in luck. Grab it, root it, play with normal Android all you want. It provides a decent amount of power for the $199 price. What many of us are hoping for though, and what I think Amazon is banking on, is that they have done a good enough job to make it not even worth the effort. So, clearly the Kindle Fire was destined to be a big thing from the moment it was announced. In addition to being a part of the bestselling Kindle line, the pricing alone would have been sufficient to make people sit up and take notice. Not many people expected anything less than $250 before the press conference, especially not a full 20% less. It seems that even Amazon wasn’t expecting how much attention their new tablet would get them, though. Recent analyst estimates have indicated that since pre-orders began on the Kindle Fire, currently scheduled to begin shipping by November 15th, as many as 50,000 units per day have been sold. On the first day alone, as many as 95,000 pre-sales are believed to have occured. In light of this, Amazon CEO Jeff Bezos has announced that he has dramatically increased the number of units ordered for this year’s production. Even he apparently wasn’t quite ready for the splash being made. In addition to the fact that the Kindle Fire is priced so impressively competitively, seeming to have single-handedly caused a drastic drop in Android tablet prices over the past few weeks, the company has brought a lot to bear on the new product to make it appealing for customers, new and old alike. 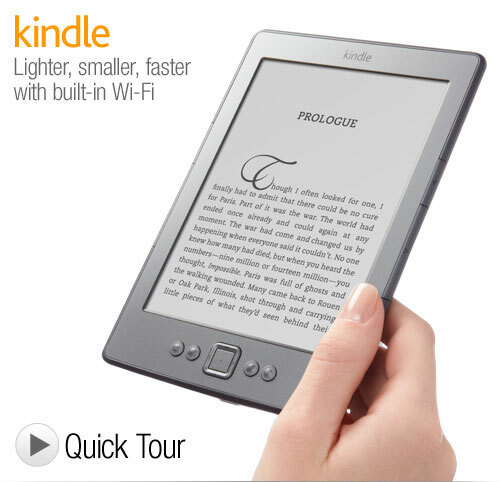 While the obvious connection to the other Kindles exists, this is not primarily intended to serve as an eReading device. The Kindle App still works well, and the color screen will allow for a large variety of content that has as yet been unable to join in on the eReader fun, but there is a lot more going on. Amazon Instant Video, for example, will probably serve as the greatest draw for most people. While the new tablet will only have 8GB of storage space onboard, the Android operating system included has been highly customized to allow the greatest possible integration with Amazon’s web services. This means that if you have a wireless network handy, Amazon will be able to bring you any video content you have access to at a moment’s notice. They’ll even save your stopping point for later if you set something down for whatever reason. This service has been undergoing fairly constant expansion in recent months with tens of thousands of new titles being added as deals come together with new providers. A fair percentage of this video content is even freely available with Amazon Prime subscription, a free month of which will accompany every device. Given how appealing the media consumption angle is likely to be for customers, it is not at all surprising to see how hard Amazon is pushing the Kindle Fire. While some analysts are convinced that they are losing as much as $10 on every tablet sold, creating the sort of long lasting customer relationship that this has the potential to form can only be good in the long term. It might not be poised to overthrow the iPad any time soon, but the justifiable excitement over the newest Kindle is hard to ignore. Let’s assume for a moment that the Kindle Fire proves to be a successful endeavor. I don’t just mean that it sells well, since we know that it is already doing that, I mean that users love it as much as the existing Kindle line and product loyalty can be assumed to a certain extent. Where do they go next with things at that point? A larger Kindle Tablet was always a given in most ways, though. The majority of “leaked” information leading up to the reveal of the Kindle Fire indicated that there was always meant to be a larger, more powerful option that Amazon just ran out of time to have ready to ship in time for the 2011 holiday season. We can hope that by taking more time with it we will get a device that while still affordable brings a larger display and significantly more power. Looking to the longer term, though, Amazon has to be hoping to bring their end to end service to all areas of the portable electronics market. After all, being based on Android should make it relatively easy to port their Kindle Fire OS to anything with a screen on it. My guess, and I’m hardly alone in this, is that there is a Kindle Phone coming up down the line. There were predictions about a possible 4″ Kindle Tablet type of device in a Wall Street Journal article some months ago featuring supposedly leaked information about the Kindle Fire. It was interesting then and it remains that way. While it would be easy to see that resulting in something along the lines of an iPod Touch competitor, though, I don’t see how that would make the kind of impression that launching a new type of Kindle should aspire to. More likely would be a Kindle Phone. In 2010, Lab 126 representatives stated in an interview that Amazon was interested in entering into the mobile phone arena in the past, but at the time considered it out of reach for a variety of reasons. That was before the Kindle Fire and its Android fork, though, so things have changed. At this point they have the OS, the App Store, plenty of media to serve, and even an existing relationship with a major cellular provider. A phone just seems like a logical extension of putting all of these things together. 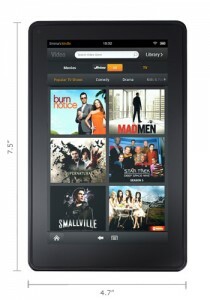 So, the big news has finally broken and we now know all there is to know about the new Amazon Kindle Fire Tablet. If anything, it exceeds much of the high expectation surrounding the initial hype. Everything from the drastic undercutting of competition pricing to the well thought out theme of the interface seem calculated to dominate a currently scattered industry. With something like this available, even the iPad might have more to worry about than previously expected. That said, there are some other things going on here that aren’t entirely apparent at first glance. A couple things go a long way to guaranteeing that Kindle Fire customers will remain Amazon customers as long as they own their device, for example. For one, while nothing says that you definitely cannot import content from other sources, and indeed it seems almost inevitable that you will be able to do so, the integrated storage is fairly limited and only Amazon content will be given unlimited storage space on their cloud servers. Will it be possible to stream content, especially video, over your home network to the tablet? That remains to be seen. We also have to assume that a great deal of the functionality, as far as content access and even web browsing go, would be lost with the rooting of the device for whatever reason. Amazon has been concerned enough with piracy in the past to make this something they will have taken into consideration, even if it means that some legitimate users will be inconveniences by it. For your average user, still not really a bad deal. You have access to movies, music, magazines, and even books, all at a reasonable price. The Amazon Prime functionality becomes almost mandatory to get the most out of things, but it provides value far beyond its cost. Kindle Fire’s even light enough for one-handed use and can multi-task enough to play you music while you read or browse the web. What would have made it even better? In the future people are definitely hoping for a larger viewing area, expandable storage, optional 3G capabilities, and longer battery life. Some of that fell to the side in order to allow the Kindle Fire to be priced so low. Some of it, like the battery life, just isn’t reasonable yet. Of course if we’re speculating about hardware that does not exist yet then I suppose full color, low power, non-backlit displays would be nice. These things will happen when the tech is available, I would assume. Better to do it right with what is mature right this minute than jump in too soon. Should this take off, and I think we can all be pretty sure that it will after today’s reveal, expect to be seeing a larger, more powerful Kindle Tablet on the horizon. Amazon supposedly spent time and manpower getting a 10″ tablet designed already, and they’ll need it to top this offering. The competition will need some time to adjust, in the meantime. It’s unlikely we’ll see such an affordable yet functional tablet from anybody else in the near future. All year we have been getting bits of data, speculation, and supposedly leaked information about the upcoming Kindle Tablet. This past month has seen huge dumps of information about the upcoming product, and today we’ve got even more thanks to TechCrunch. In a press conference being held this Wednesday, we should get confirmation and all of the other information we’ve been waiting for. Probably the first big revelation is the name. 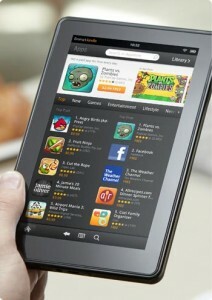 In order to differentiate it from the Kindle eReader line, the new Tablet has apparently been dubbed the “Kindle Fire”. This was actually hinted at several months back when people stumbled on Amazon’s acquisition of several Kindle related domains, including kindlefire.com. We now know that the Kindle Fire will be feature a 7″ backlit screen that may look quite similar to the BlackBerry Playbook due to shared manufacturers and a lack of time to get the product out for this holiday season. It will be using a custom fork of Android (probably built on the 2.1 base), but altered to the point of complete uniqueness. This will be running on a TI dual-core OMAP chip, probably in the 1.2GHz range, putting the hardware in line with other newer Android devices. Overall a strong offering. Now, the existing Kindle line has effectively dominated the eBook market in the United States by bringing customers an impressive reading experience that improves value despite the inability to price their eBooks as competitively as the company might desire (Hooray for the Agency Model, right?). If a similar relationship with customers can be achieved with the Kindle Fire, Amazon can completely turn the current hardware-based Tablet sales model on its head (Some reports indicate that as much as 90% of iPad based profit for Apple comes from hardware sales). To pull this off, Amazon has been pulling together a great support base. Major app developers have apparently been approached to get them ready for the launch, for one. Also, quite importantly given the media-centric nature of this device, Amazon has been putting together deals with the likes of CBS and Fox to secure access to extensive video content for the Amazon Instant Video service. There is currently some question as to the exact nature of what will be offered as incentives to new users. Some sources are saying that this will be a $250 Tablet PC with Amazon Prime bundled free for the first year, while others are claiming that there will be two packages available that will differ mainly in their inclusion of the Amazon Prime membership. What we anticipate at this time is an announcement by Amazon that the Kindle Fire will be available either late October or early November. This seems like a large delay between the press conference and first shipments, but Amazon is clearly under pressure from competition in both tablets and eReaders at the moment and needs to get ahead. Check back on Wednesday for confirmation, revisions, and any other Kindle Fire news that we are able to bring you. 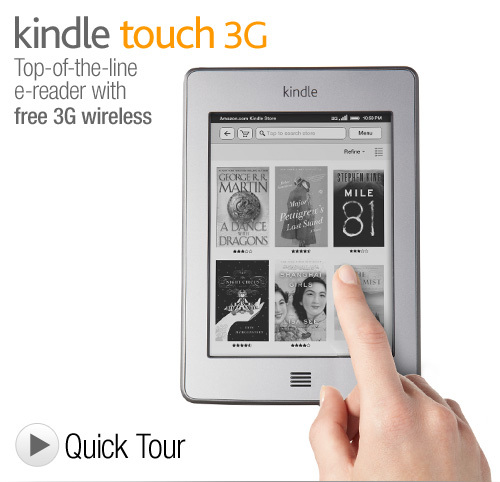 Is Windows 8 Bad News For Kindle Tablet? There are two major factors favoring the success of the Kindle Tablet right now, aside from being backed by Amazon and all that that entails. One is that it will be cheaper than pretty much all of the tablet competition, especially the big names like Apple. Two is that it should be able to provide a consistent, centralized experience practically unheard of in the Android Tablet market today. Pricing is a key issue, of course. It will be incredibly hard for most companies to compete with Amazon since their media sales emphasis will allow them to sell hardware at or below cost while confidently expecting to make up the profits in post-sale usage. The only really usable tablet in the same range is the Nook Color, which is mostly only succeeding by being great compared to other extremely cheap tablets. If Amazon can manage to provide a genuinely superior experience at the same price, they will stand alone with good reason. We can’t rely entirely on pricing to determine success, though. The Pandigital Novel can often be found for $80 or less, but that doesn’t mean it is knocking the Kindle down from their place on top of eReader sales (despite being a color eReader, which many people claim is more important than screen quality or interface). The act of creating a consistent Android experience, however, might soon be less useful than we might expect, should Windows 8 live up to its promise. Microsoft’s new tablet-centric operating system seems to have a good chance of focusing tablets around a single unfragmented environment that has no ties to a specific manufacturer. They’ve got media play capabilities, the full versatility of a Windows OS, an apparently highly streamlined design, and even an App Store. It can be hard to argue with all that. The Kindle Tablet will clearly be running lower powered hardware than most Windows tablets can be expected to, and will have a more consumption-focused experience. The problem they are facing is less direct market competition and more a conflict of perception. If the idea is to lure in consumers with something that is like an iPad in every way that matters besides the price, it will only work so long as the iPad is what people are using as the basis for comparison. A $350 Windows tablet with superior hardware and a comparable user experience might be enough to derail the whole effort no matter what kind of incentives Amazon is able to throw in to sweeten the pot. In the end everything will rest on how the two launches go. Amazon has earned a great deal of customer loyalty through the Kindle platform, which goes a long way toward jump starting the new product. Microsoft, on the other hand, has left many potential customers and developers a bit put off with the extremely different direction their newest product has taken things. A failure to impress on the part of either company will mean a lot for the competition.